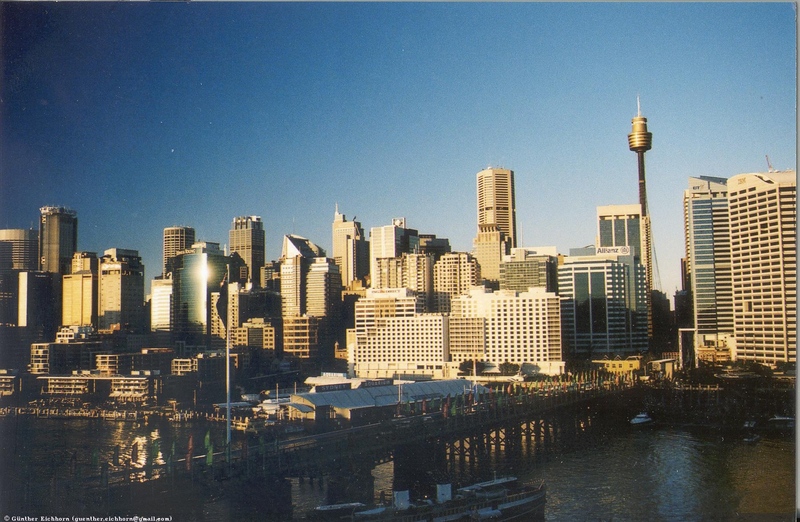 In July 2003 the International Astronomical Union (IAU) held its 25th General Assembly in Sydney, Australia. 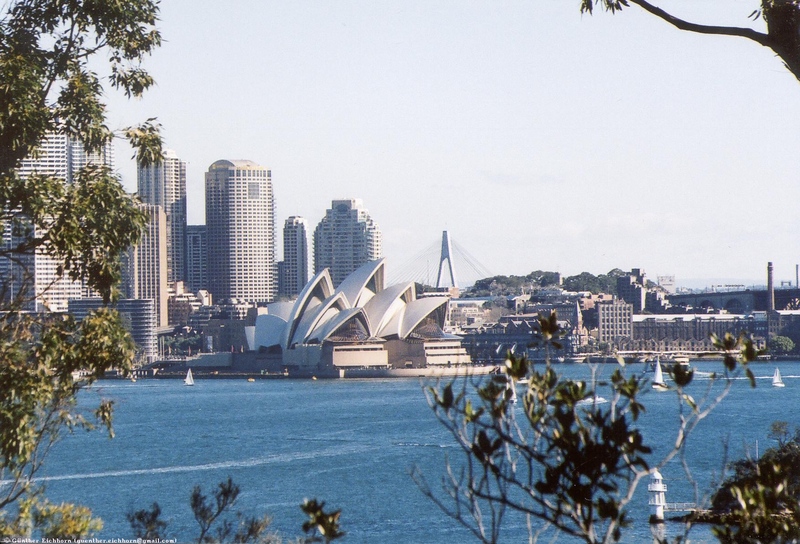 I stayed for the two weeks of the General Assembly in Sydney. After the meeting I had made arrangements to rent an airplane for a week to tour the east coast of Australia. 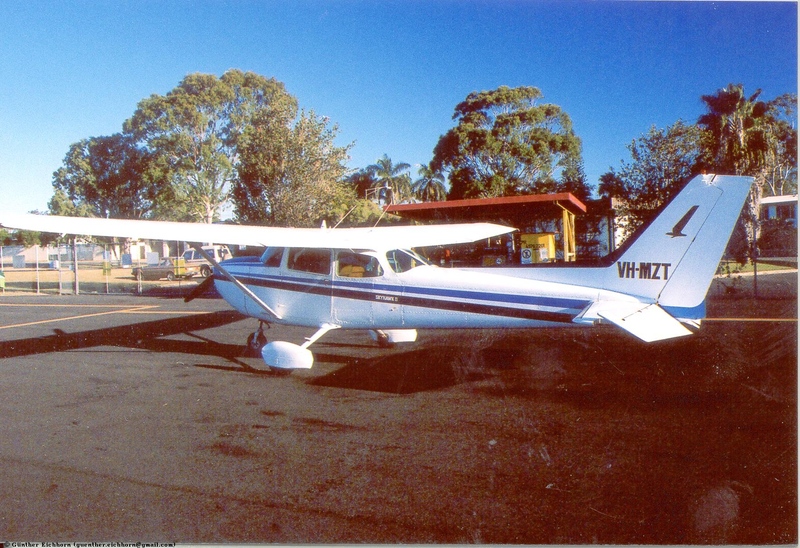 I rented a Cessna 172 from Australian Flying Adventures (now defunct) in Parkes, NSW (YPKS). Unfortunately they didn't stay in business very long. 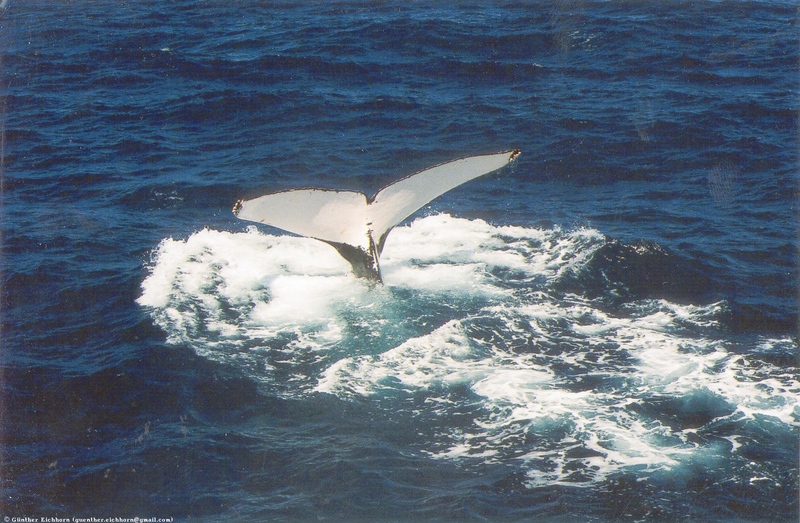 My plan was to fly north to the Great Barrier Reef, stay there for three days to do some scuba diving and whale watching, and then fly back to Parkes. Everything went as planned and I had a great time. 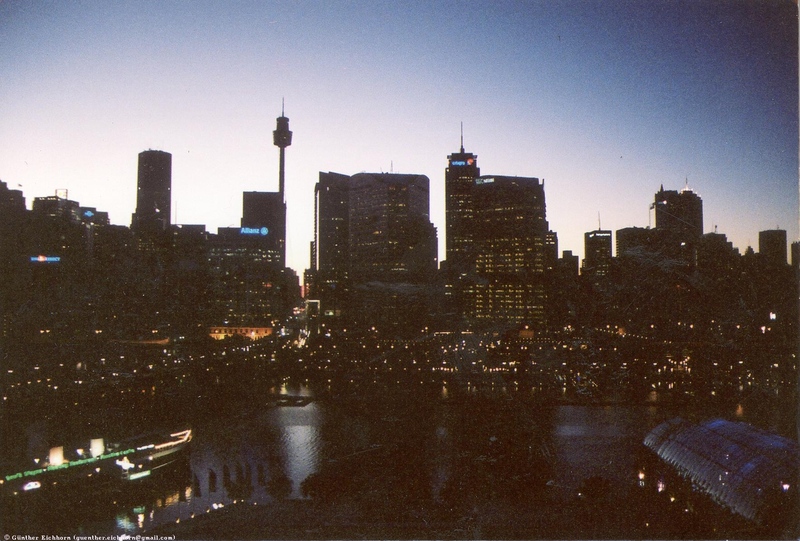 Sydney is a pretty nice city as far as cities go. The Sydney Opera is of course a must-see. It is a very impressive structure. 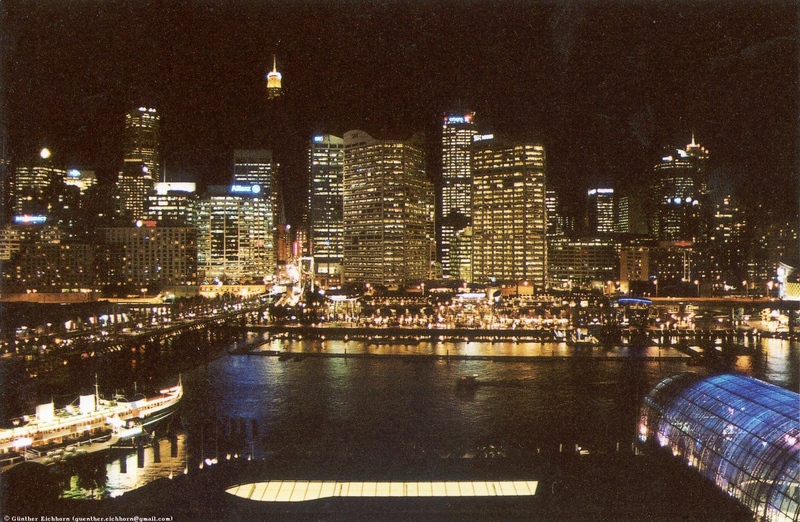 It is located near the wharf at the northern end of downtown Sydney, called Circular Quay. 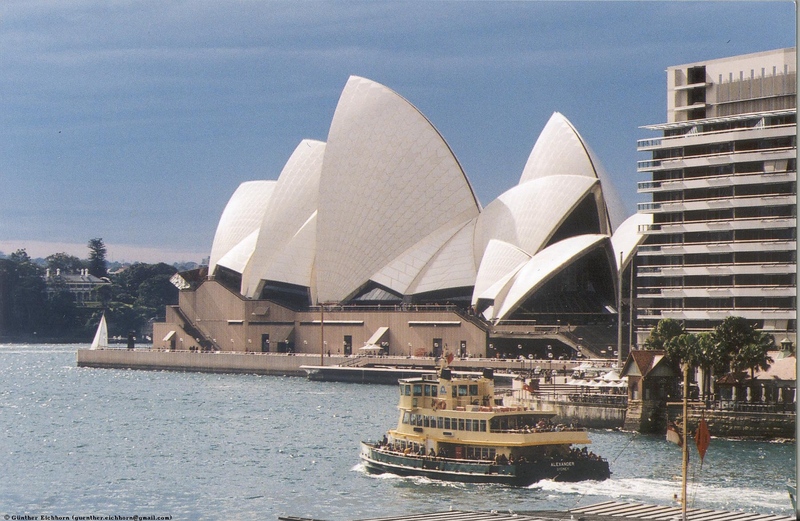 The Sydney Opera House is a UNESCO World Heritage Site. Just across from the opera is the area called "The Rocks", with nice shops. 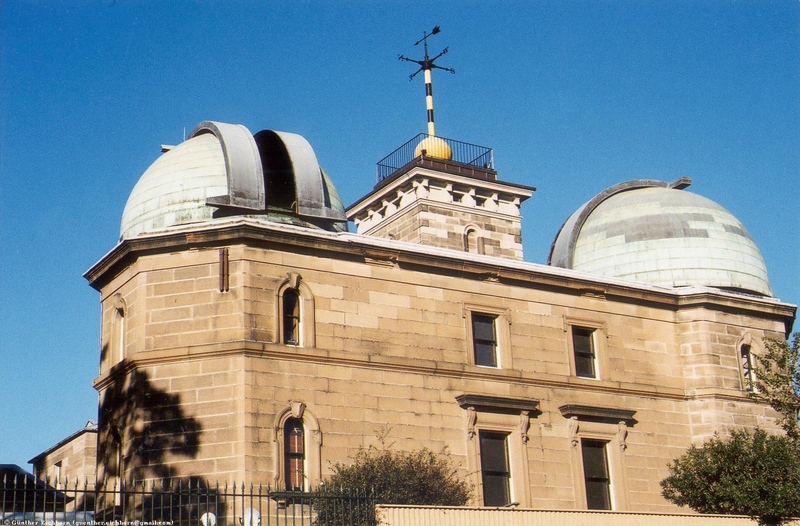 On top of the hill in the center of The Rocks is the historic Sydney Observatory, dating from the mid-19th century. 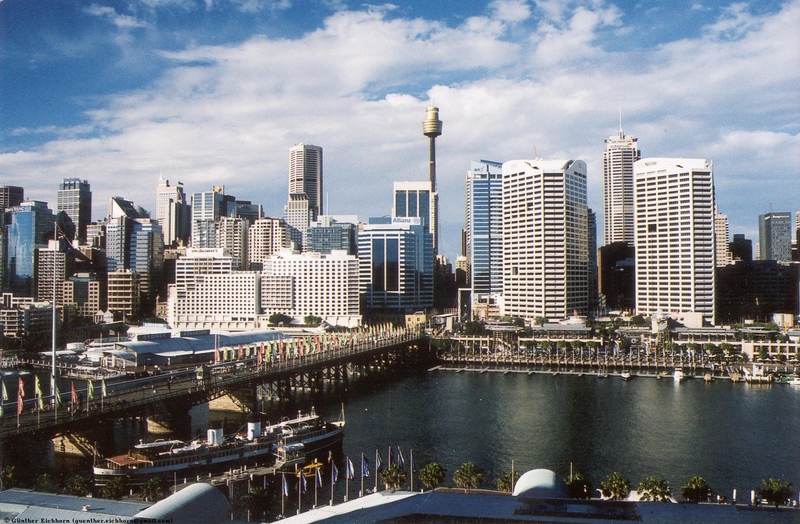 To the south-west of The Rocks is Darling Harbour, the center of activities with the Aquarium, the Maritime Museum, and endless numbers of shops and restaurants, as well as the Conference Center. The Aquarium is certainly worth a visit. One attraction there is the shark exhibit where you walk through a tunnel with a transparent roof and watch the sharks from below. 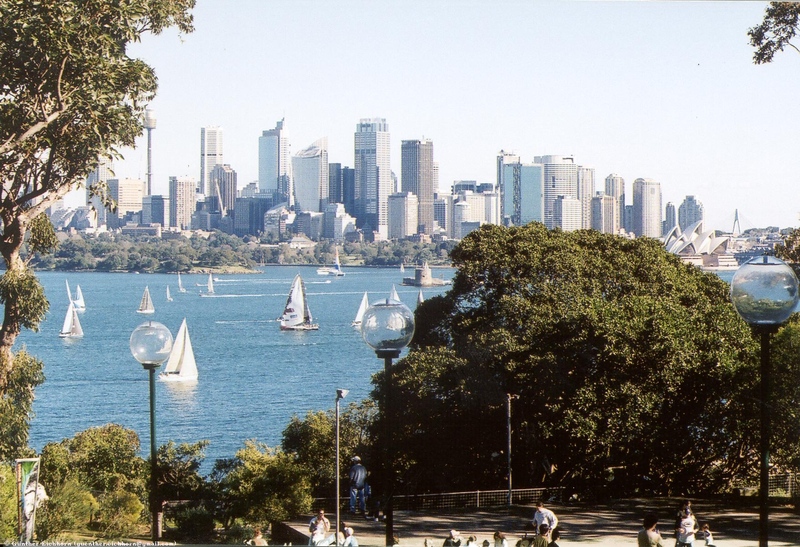 To the north of downtown Sydney is the Sydney Zoo. 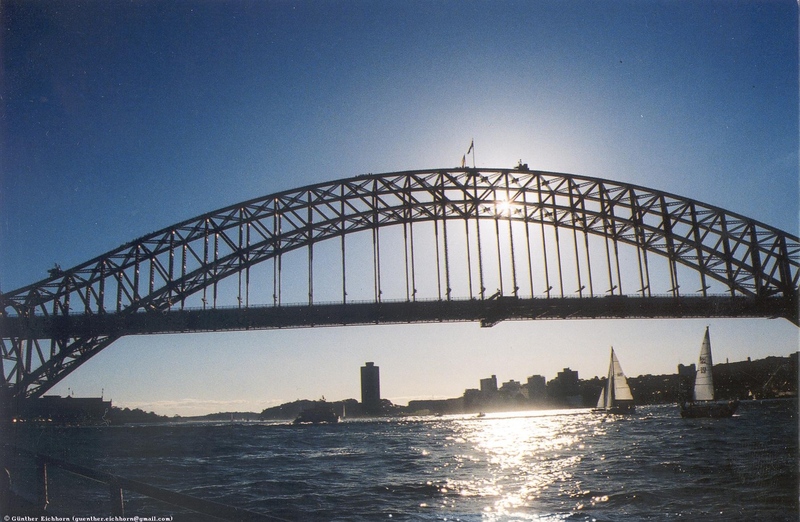 You can reach it by ferry from Circular Quay. It is a nice zoo, unfortunately they were in the middle of a big construction/renovation project, so several, exhibits were closed. They naturally put a lot of emphasis on Australian fauna, so you get to see all the Australian animals like emu, kangaroo, echidna, platypus, koala, dingo, etc. On the weekend during the two-week conference I rented a car and drove to Parkes, about 360 km (224 miles) west of Sydney. It is a very scenic route through the Blue Mountains. The Greater Blue Mountains Area is a UNESCO World Heritage Site. 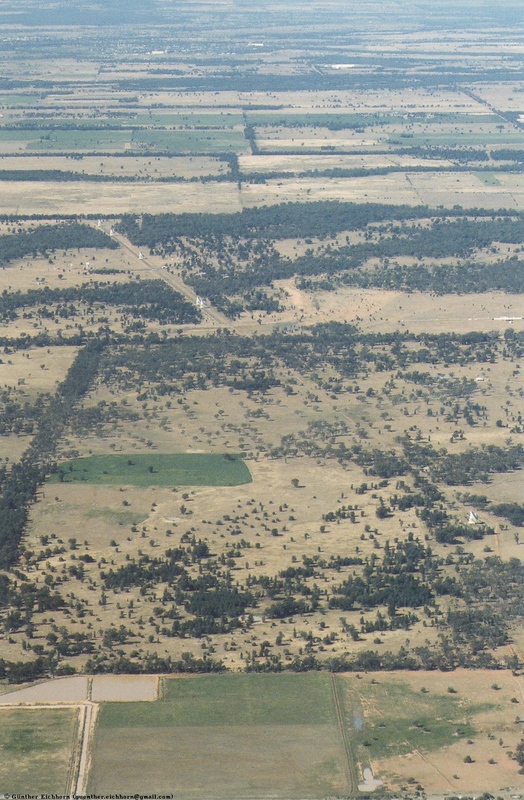 The area around Parkes itself is not very scenic, just mostly flat farm and ranch land. The main attraction in Parkes is the Parkes Observatory with the 64 m (210 ft) diameter Radio Telescope. This is a very important part of astronomy research in Australian and world-wide. The main reason I drove to Parkes was to get checked out in the airplane that I planned to rent at Australian Flying Adventures in Parkes, NSW (YPKS). This company just started business. They want to organize trips for visitors from overseas. These can be trips like mine, where the visitor gets checked out and then flies alone, to trips with a pilot provided by them. Since I was one of their first customers, they were very interested in helping me with everything to make the trip as smooth as possible. In general that worked very well. One of them for instance came with me to the Australian aviation authority CASA to help me get my pilots license validated for Australia. One major problem for me was to get to Parkes after the conference, and then back to Sydney for my return flight. There is a local commuter airline that flies between Sydney and Parkes, but they didn't have flights available at the times I needed them. I looked into renting a car one-way, but they wanted exorbitant money for that (about US$330 for one trip, adding up to US$660 for the two trips). I ended up taking the train about half-way to Parkes to Lithgow, where the people from Parkes picked me up and drove me to Parkes, the same in reverse for the return trip. Before and during the trip they were very helpful with making sure I had all the maps and with providing weather briefings. There were just three glitches. The first checkout was not done by an appropriately authorized flight instructor, so I had to go through a second checkout. The second was that one of the fuel credit cards that they gave me had expired, so I had to use my own credit card a couple of times. The third was the fact that the installed GPS unit in the airplane didn't have a connection to aircraft power. It worked on its own batteries for ¾ of the trip. For the last quarter I had to rely on good old dead reckoning and pilotage. It was actually fun to go back to the old ways of flying . The airplane was otherwise in good shape, and I had no other problems. Overall it was a very good experience. My destination in the north was Whitsunday Airport (YSHR) in Shute Harbour at the Whitsunday Islands in Queensland. 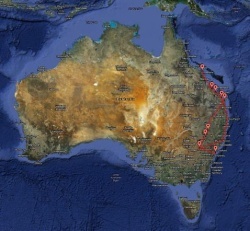 It took 1 ½ days to get there, with an overnight stop in Gladstone, Queensland. I had been provided with information about the special procedures used to fly into that airport, so I had no problems flying into YSHR. It is a gravel and grass strip that is quite well maintained and very busy. 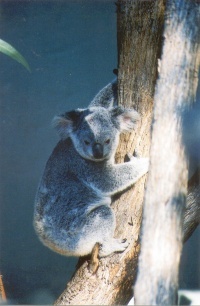 I stayed in Airlie Beach, next to Shute Harbour for three full days. 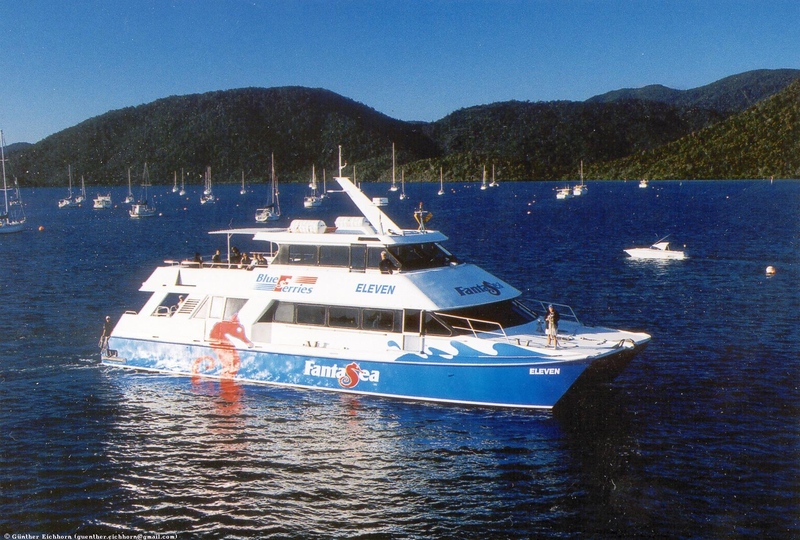 On the first two days I took a scuba diving trip to the Great Barrier Reef with FantaSea. They seem to be one of the largest operators in that area. The tours were very well organized. 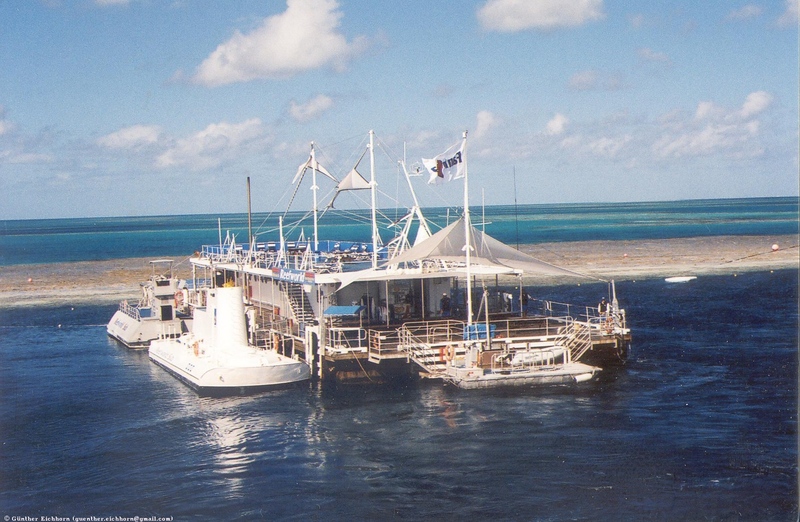 They have a floating platform called Reefworld permanently anchored next to the outer reef. The day trips go out to the reef in the morning. 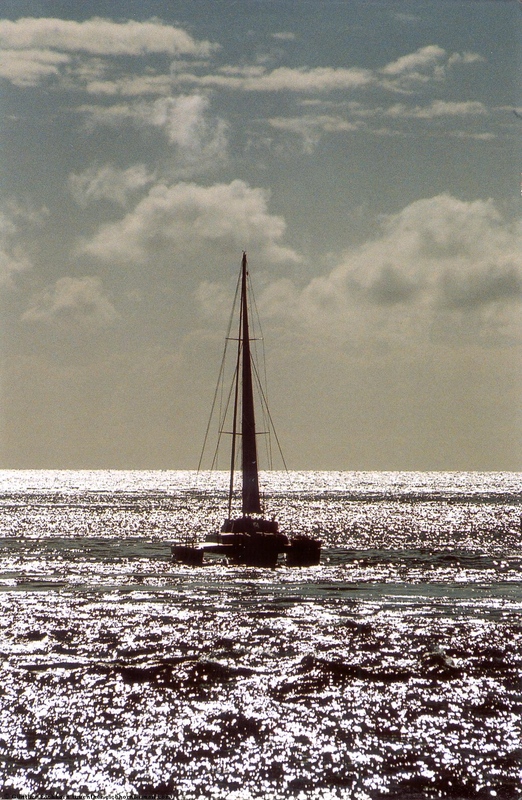 The boat trip takes about three hours on a pretty fast large catamaran. You stay on the platform for about four hours, enough for two dives. 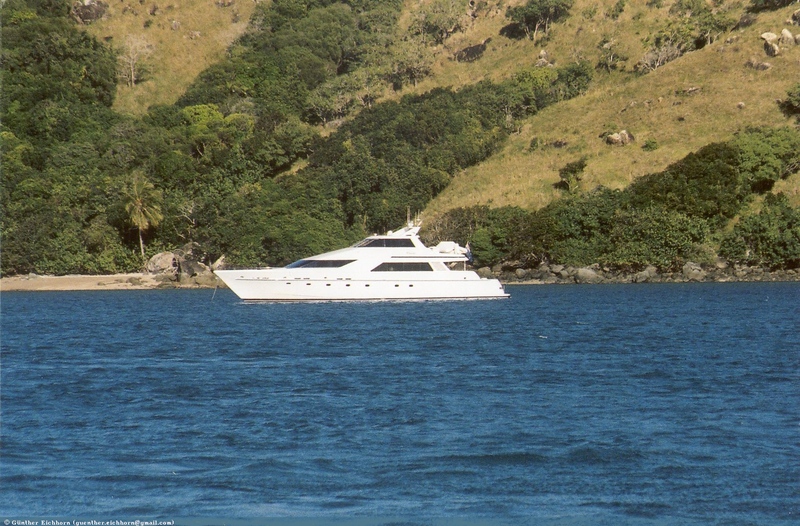 They also have a boat with underwater windows that makes 20 minute excursions to the reef. The view out the underwater windows is spectacular, they get real close to the reef. The picture of the sea turtle for instance was taken from this boat. The Great Barrier Reef is a UNESCO World Heritage Site. 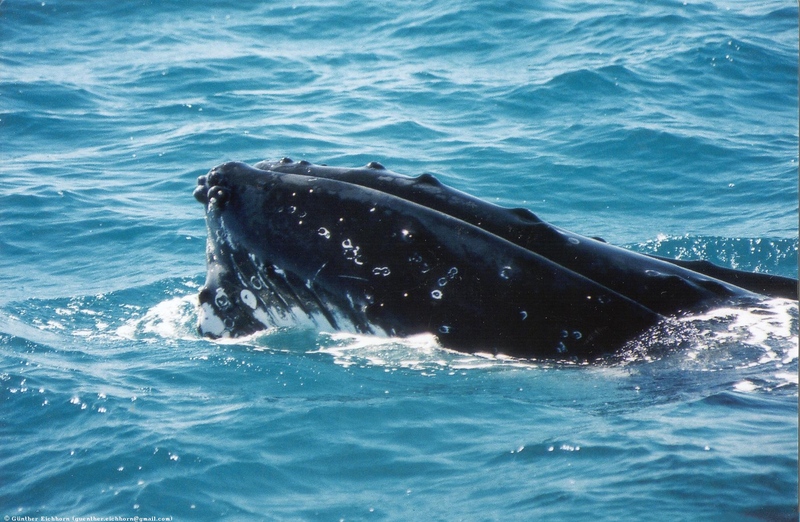 On the third day I took a whale watching tour with the same tour operator. It was quite spectacular. 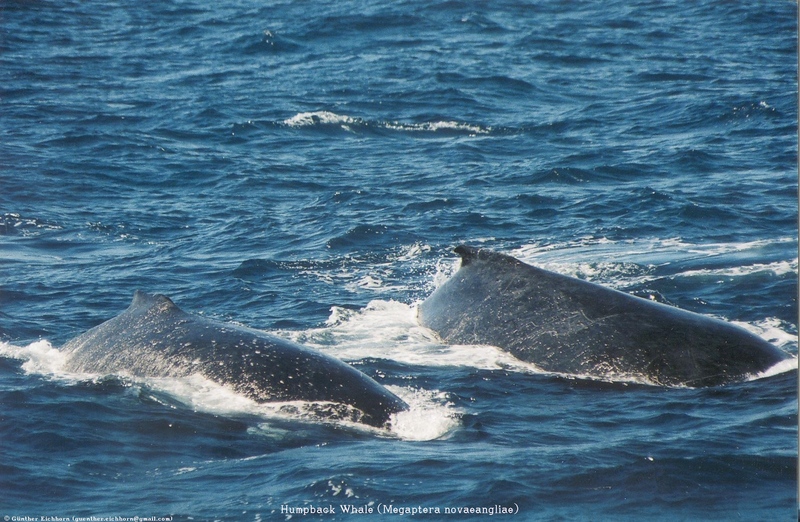 At one time we were watching a pod of six whales playing around real close to the ship. It was awesome. 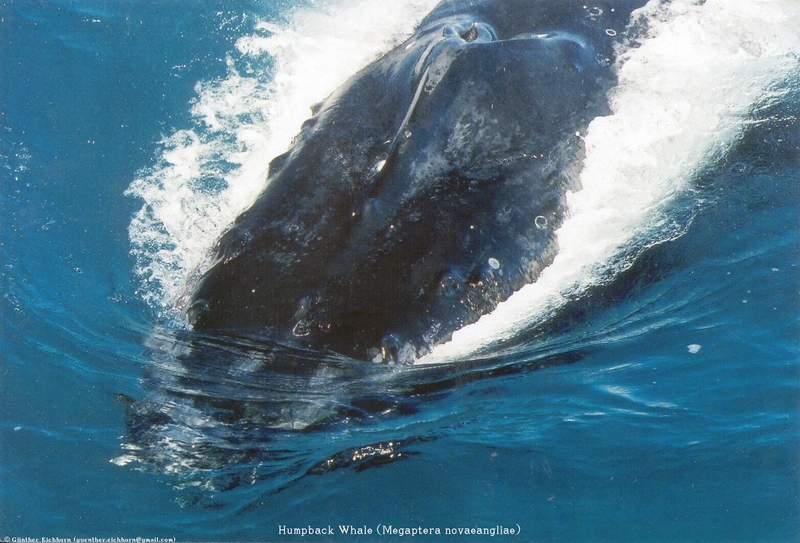 Whales are HUGE creatures. 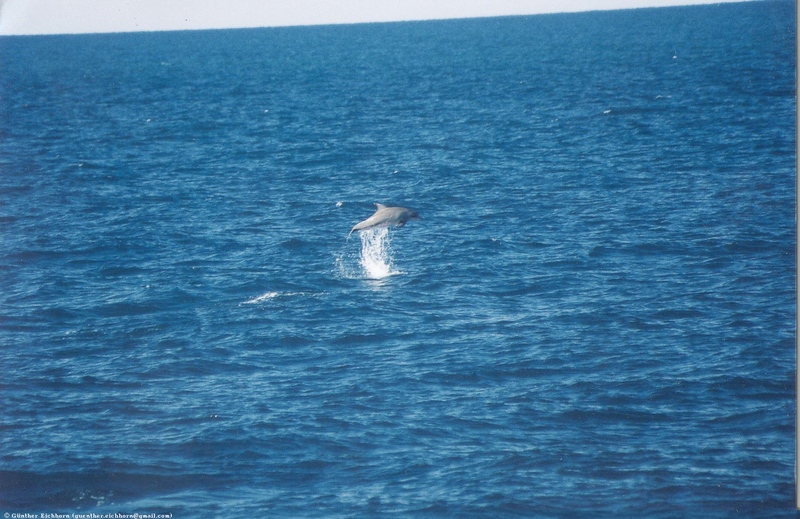 On this trip I also saw a few dolphins, but only in the distance. The next day I flew back south to Hervey Bay, not quite halfway to Parkes. This is supposedly the Whale Watching capital of the World. 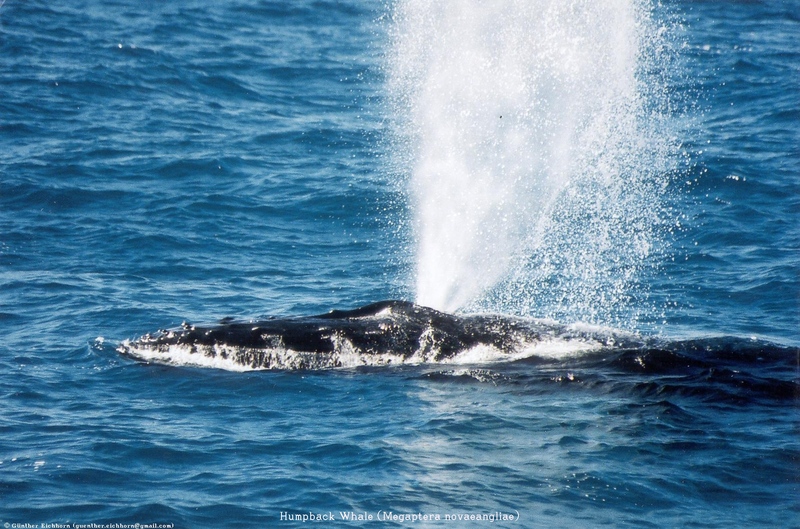 And indeed, the whale watching there was spectacular. 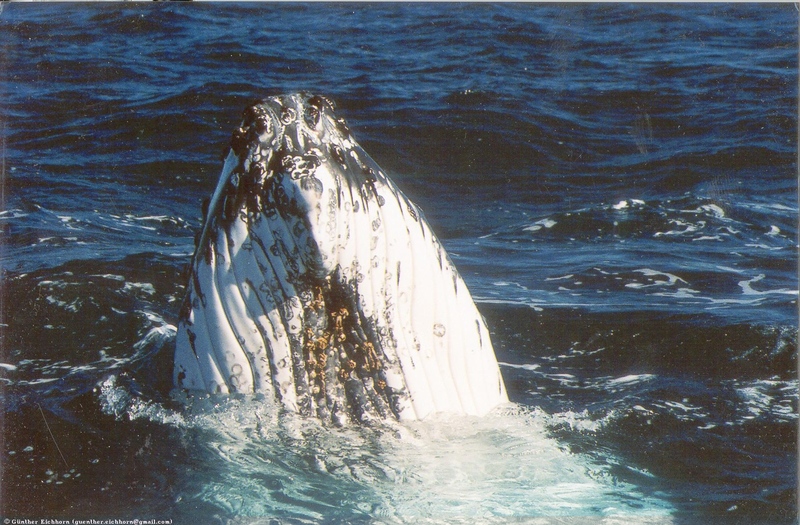 I stayed there for two nights and went on one whale watching trip. 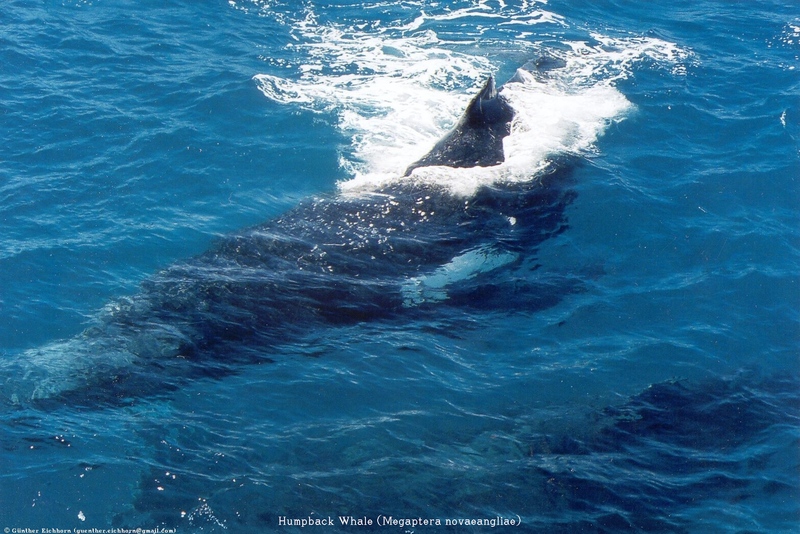 This was a much smaller boat, so we were much closer to the whales. 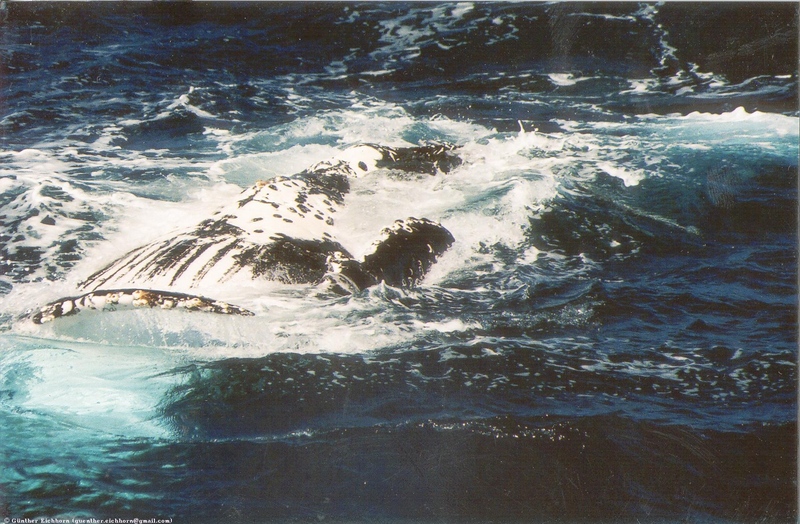 At one time, one of the whales stuck his head vertically out of the water, about 3-4 m (10-13 ft) from the boat. What an awesome sight! 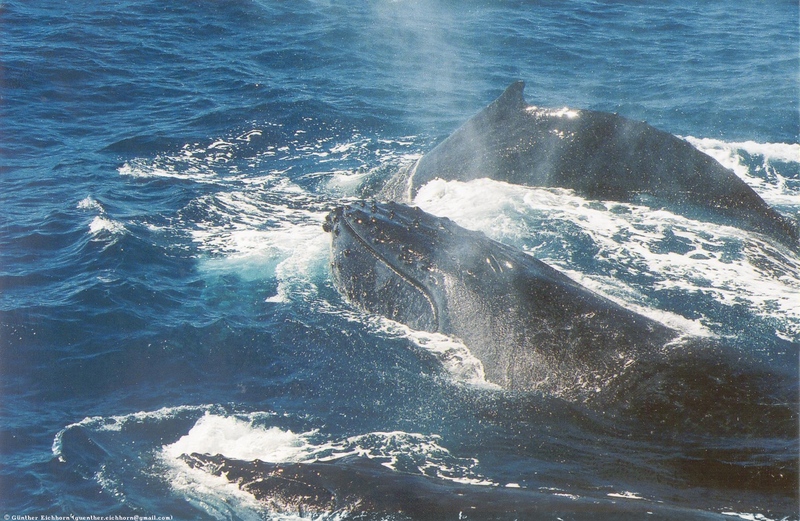 Whales are very curious creatures. They come very close to the boat to do people watching. They really visit the boats to observe the people. 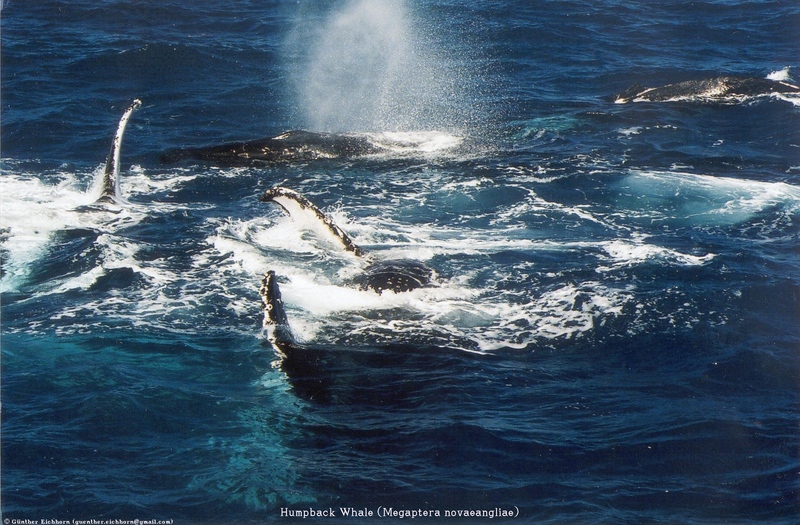 It was quite clear that they do that when a second boat came up to ours after we had been watching the whales for about 15 minutes. 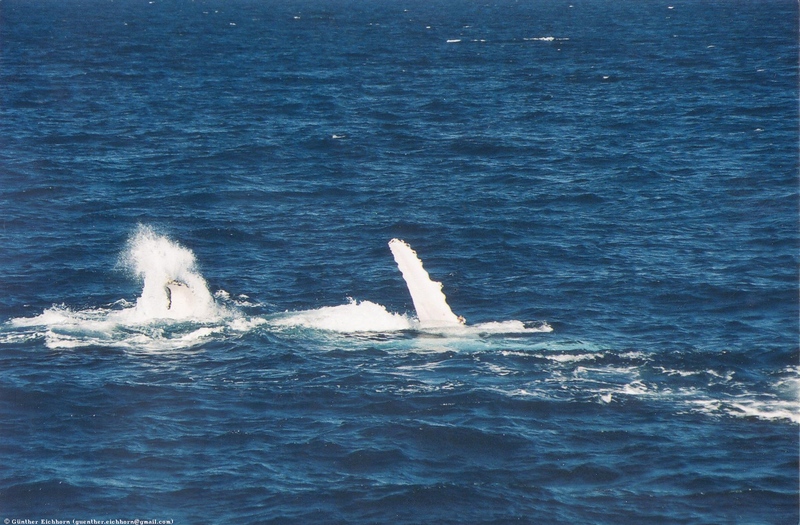 The whales had been playing around our boat the whole time. 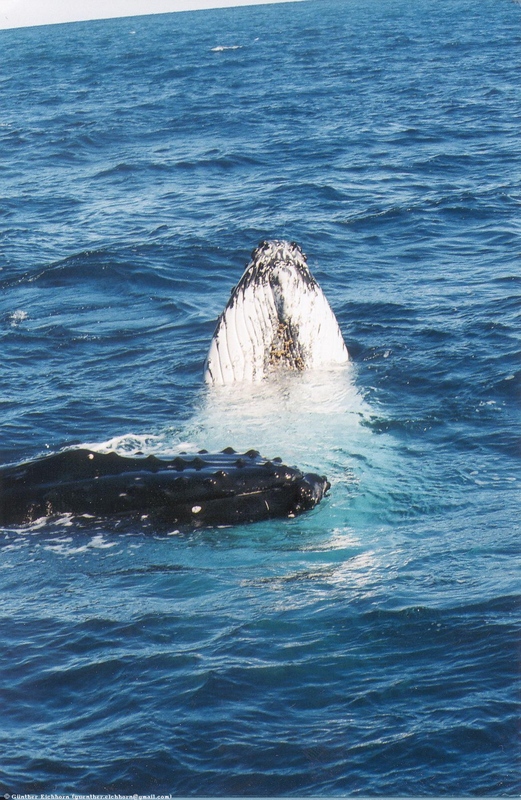 When the other boat showed up, the whales immediately swam over to the newly arrived boat and started swimming around it. From Hervey Bay it was back to Parkes on the day before my return flight left from Sydney. On that part of the flight I flew over the Australia Telescope Compact Array (ATCA), at the Narrabri Observatory, an array of six 22 m (72 ft) radio telescope antennas. 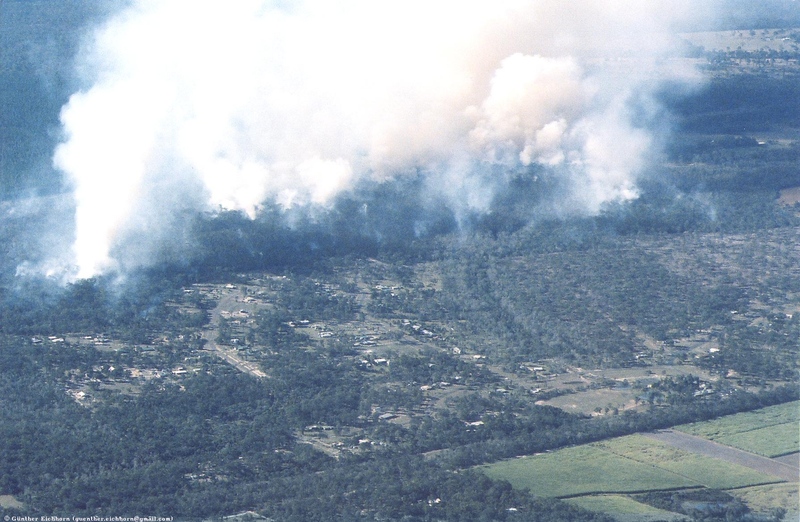 It is located about 25 km (16 miles) west of the town of Narrabri in rural New South Wales (about 500 km (310 miles) north-west of Sydney). 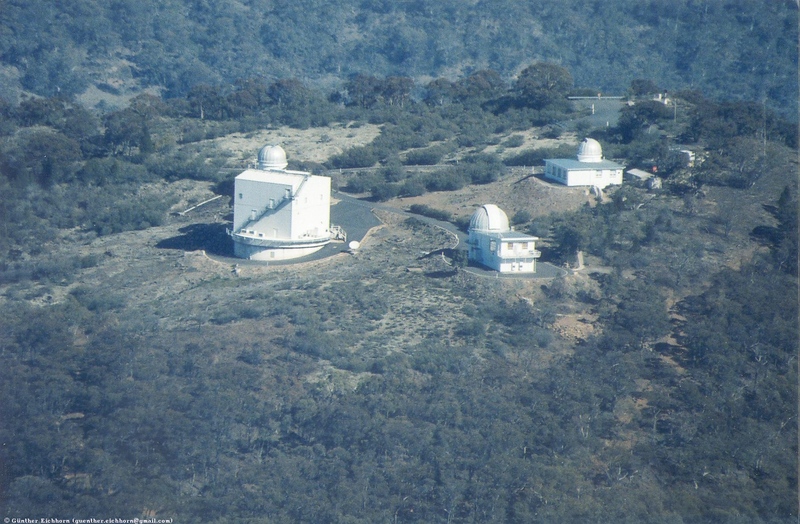 From there I flew to the Siding Springs Observatory, one the most important astronomical observatories in Australia. 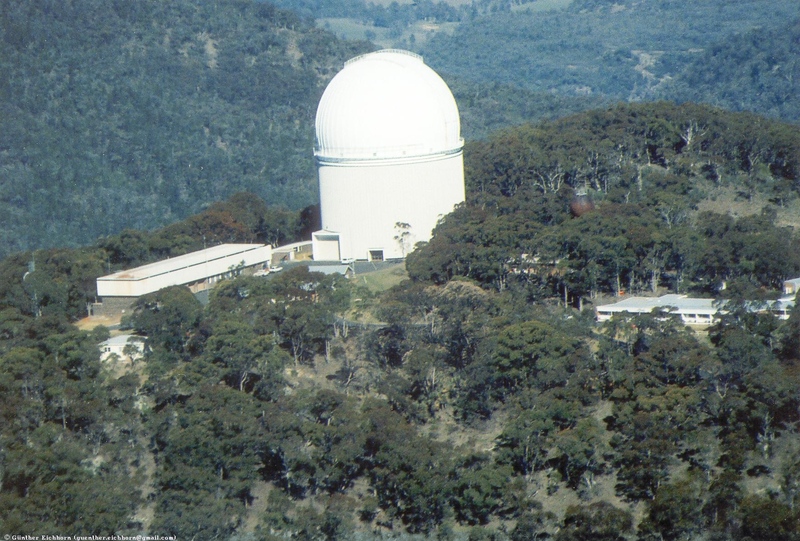 It is located about 450 km (280 miles) northwest of Sydney in the Warrumbungle Mountains in the central west region of New South Wales, near Coonabarabran. I had a spectacular view of the observatory domes from my plane. 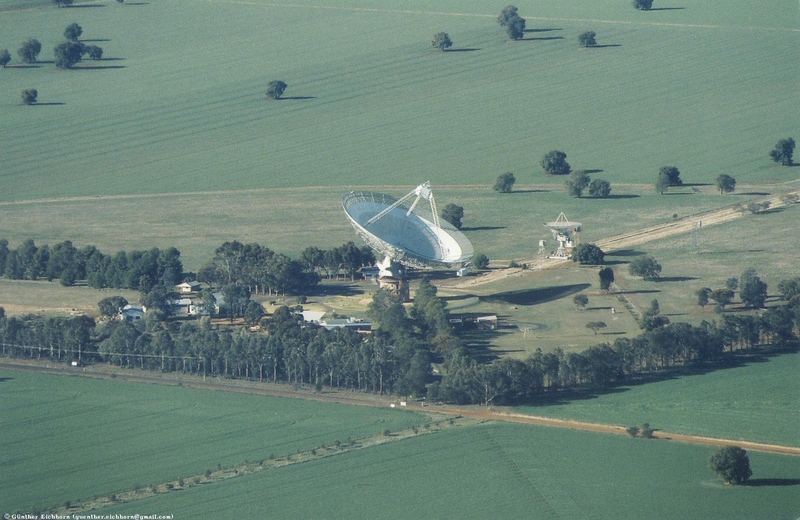 From there I flew past the large radio telescope at the Parkes Observatory. 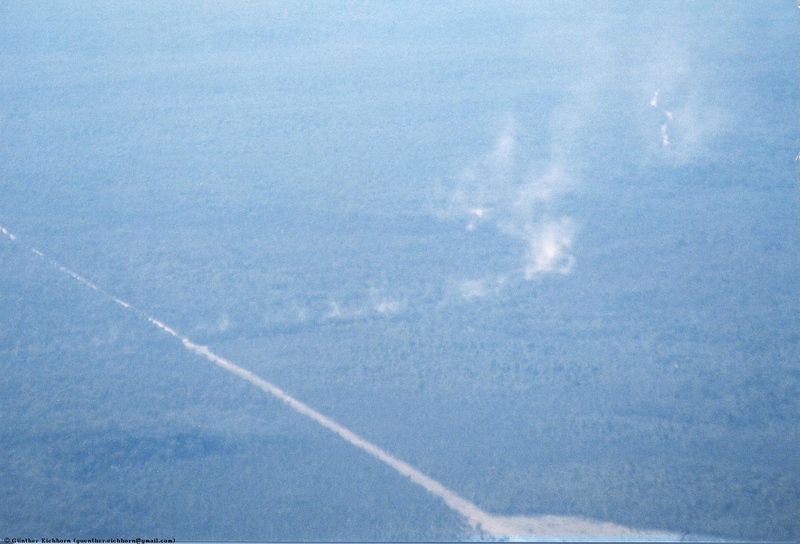 It is located about 25 km (16 miles) north of Parkes. 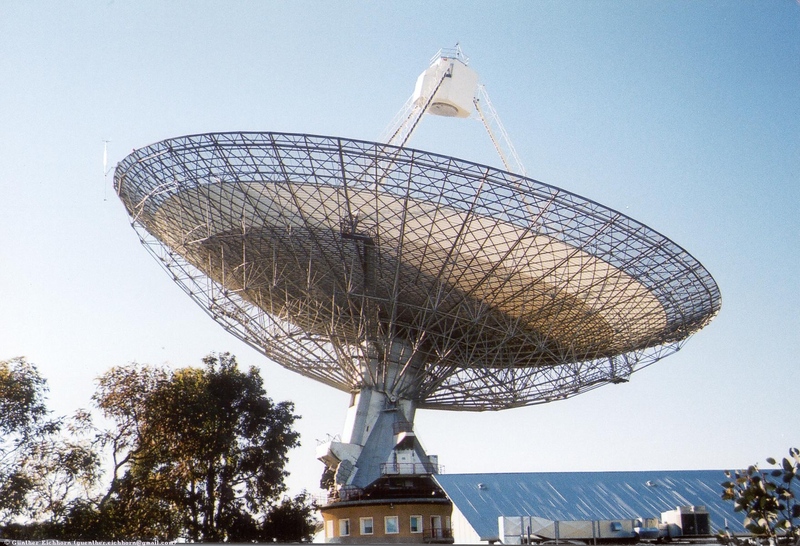 The large dish is fully steerable and has a diameter of 64 m (210 ft). My hosts brought me back to Lithgow, where I stayed overnight and then took the train back into Sydney for my return flight to the USA. Australia is a very interesting country. Unfortunately I didn't see enough of it, it would take much more time than I had available. People are generally very friendly. The food is usually very good, as is the beer. One interesting fact is that Fosters beer, so famous in the USA for being the typical Australian beer, is hardly seen in Australia, it is mostly exported. The most common beer in the area that I visited was Victoria Bitter (called VB for short). Abbreviating words is a happy pastime of the Australians. And they like to use cutesy abbreviations. For instance the Cockatoos are called "Cockies". This also works in aviation, for instance Coolangatta Tower's call sign is "Coolie Tower", Rockhampton Approach is "Rocky Approach", and Bundaberg MBZ is "Bundy MBZ". Altogether a very enjoyable trip, especially since I got to do a lot of flying. Try it yourself, you'll like it.